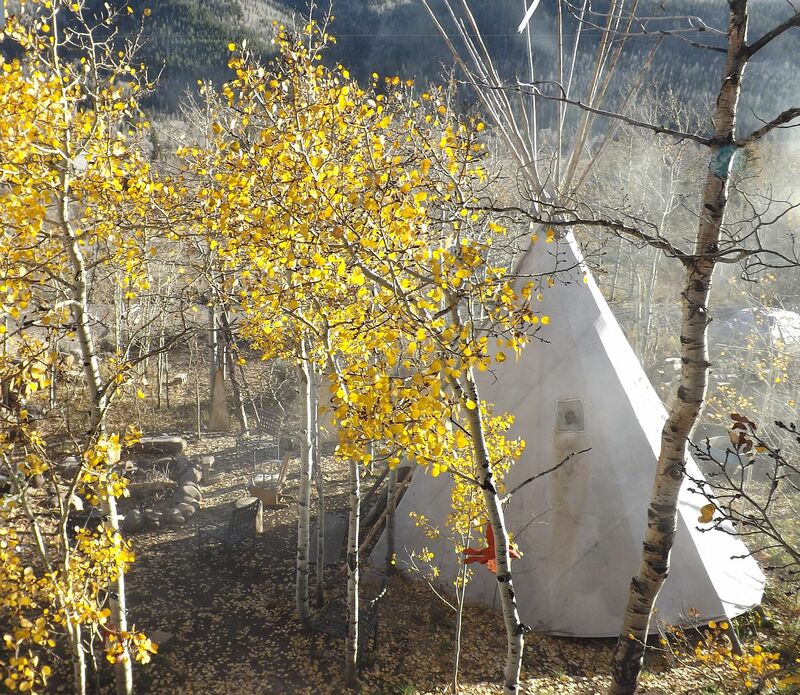 Jennilee sent me the following email with pictures from Utah. They are doing everything by hand with what they find. Talk about sustainable. Thank you Jennilee! Here are their beautiful projects. 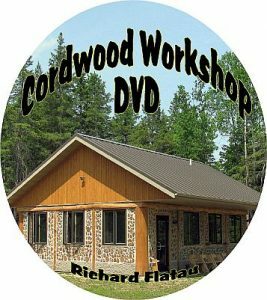 “Hi Richard, This is our cordwood sauna and our wood fired hot tub. We are up in the western Uinta’s outside of Park city Utah. We started this project last fall. Then winter came and finished this fall. It is an external feed. It works great!! We have Beaver chaw incorporated in the wall. What an amazing fun project. This was our first attempt. Turned out Swell. 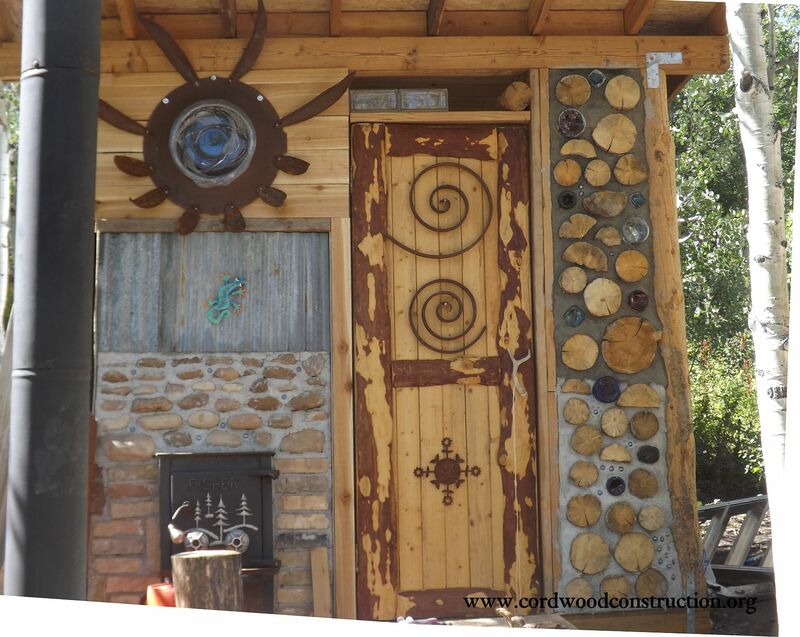 The next one is going to be a Vardo (sheep camp) This will be our guest house and art studio. 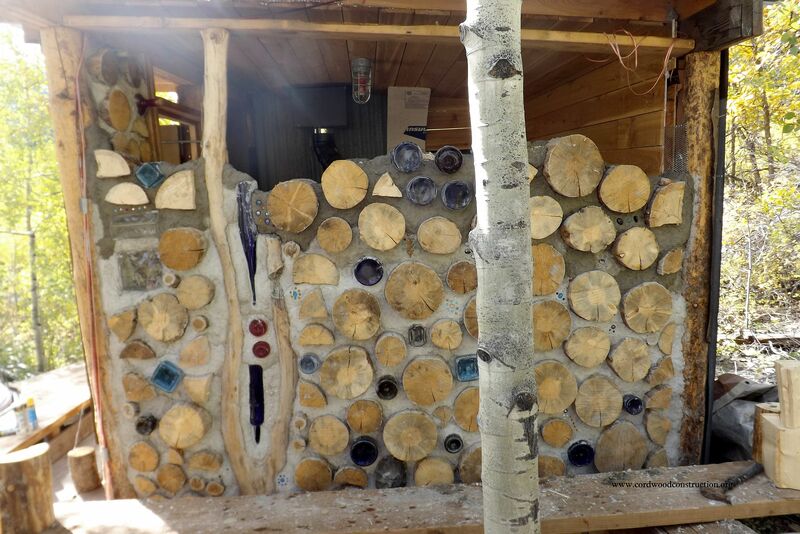 It will contain cordwood in a few walls. Thanks for all your info. 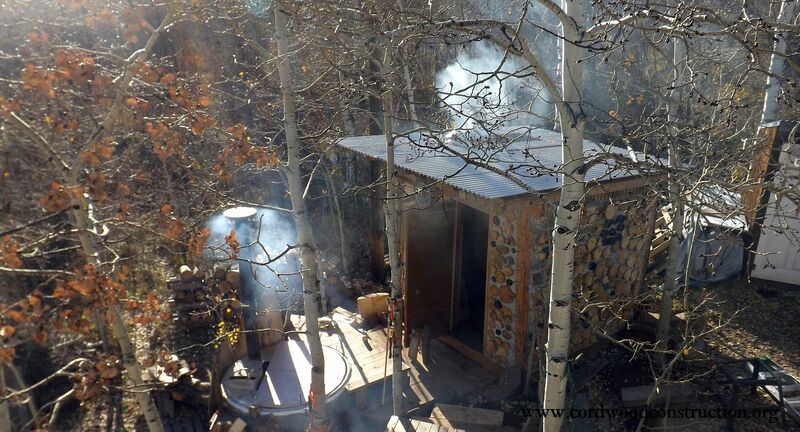 We have three working wood stoves, hot tub,sauna,& cabin. It is a beautiful world out there we spend all of our time outside.I can’t wait for spring to get the next projects rolling. 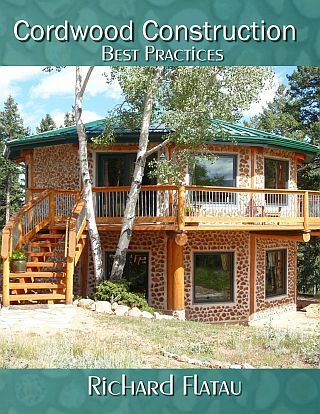 Mike and I (Jennilee Post) have a really sweet small cabin in the western Uinta’s. 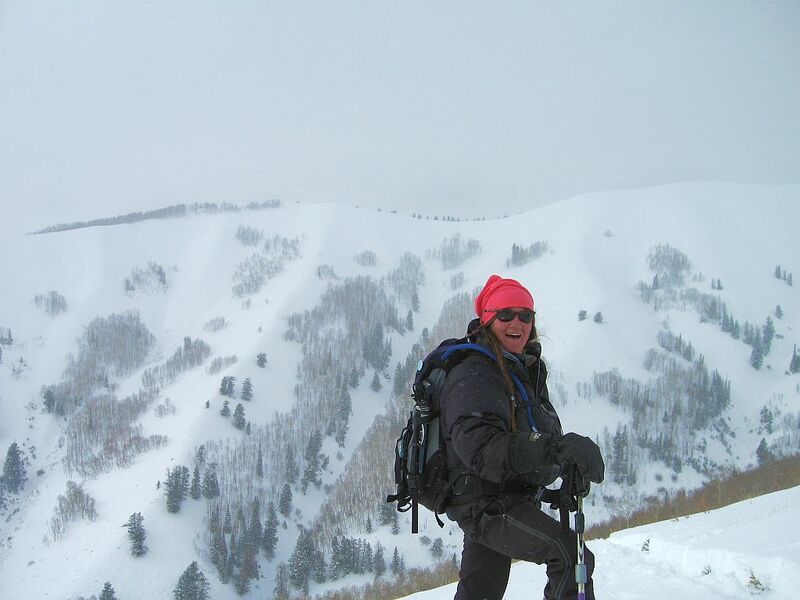 A special place where we can backcountry ski right from our cabin. We are surrounded by mountains and a small lake up here. There are only eight people that live up her year round. You have to snowmobile in or ski up to our cabin. It is Awesome for us. We are at Weber canyon, by Oakley, Utah outside Park City, Utah. I made the door !!! 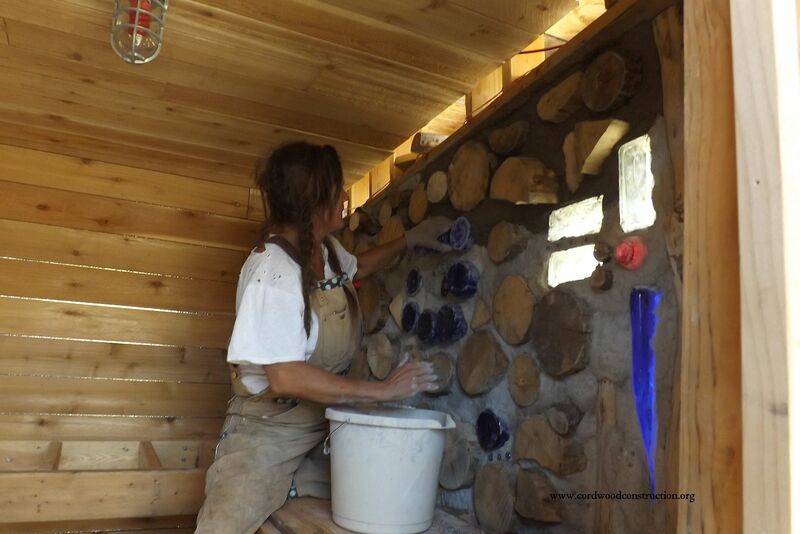 I hand shaved the pine logs (for my teepee poles) Then sanded them and cut them for the border. The other wood is cedar with a deer antler handle. The swirls are from a friend that had a yard full of blacksmith scores!!! Recycle everything I can. We love to scavenge what ever we can find! 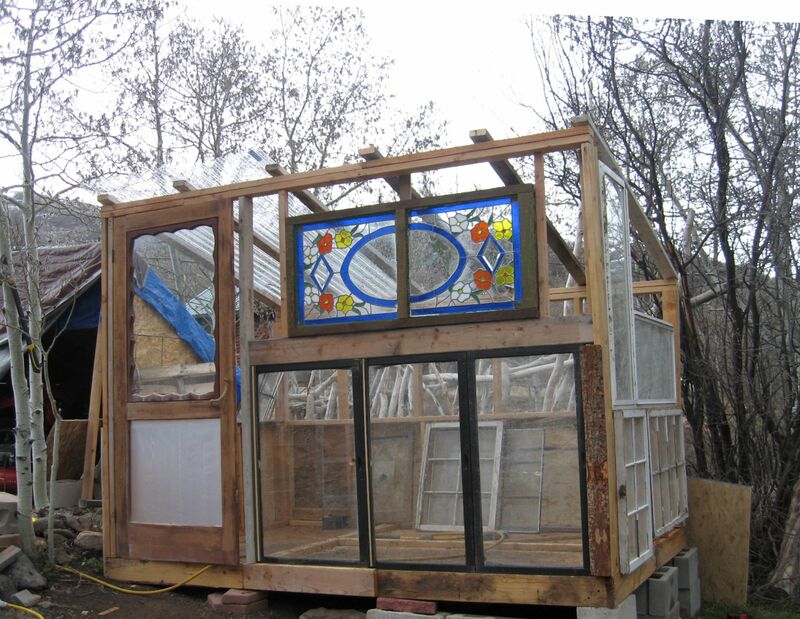 Here is a cool recycle green house I made out of old windows. 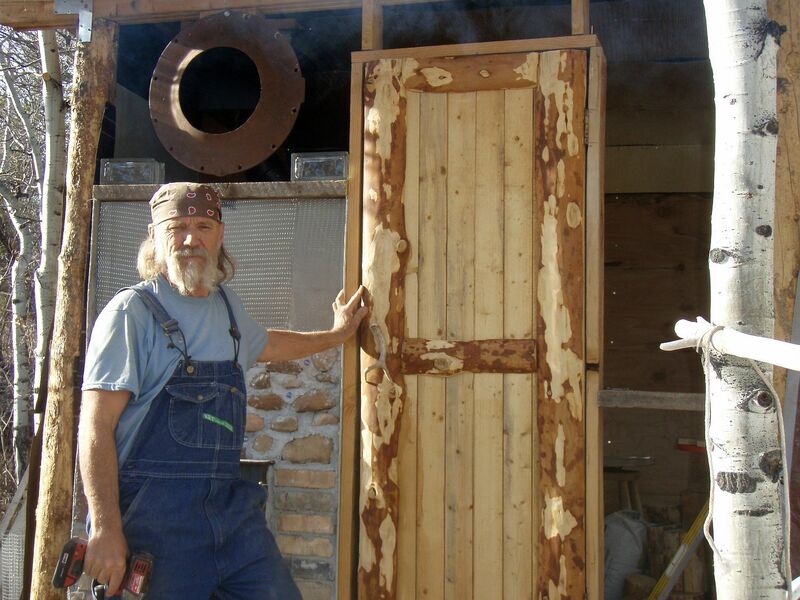 The frame is wood we get out of the dumpster from building waste. Thought you would enjoy. I have some inside the sauna that I will send to you. Hope you enjoy. It is so fun to build and reuse everything you find. 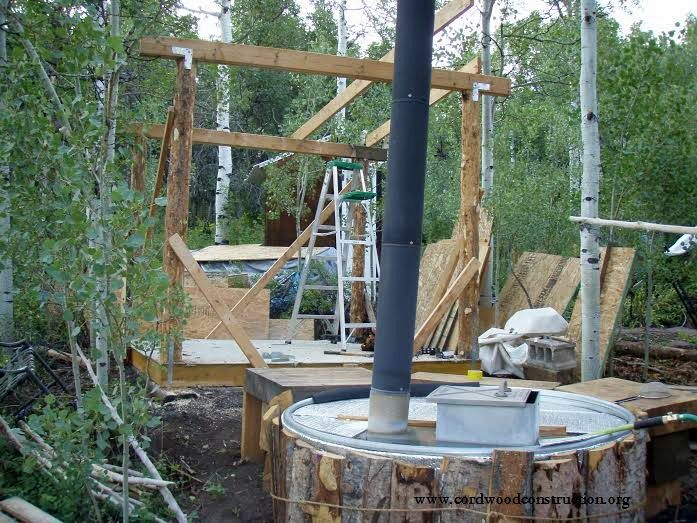 When I start my Vardo ( sheep herder camp structure) I will keep you posted. 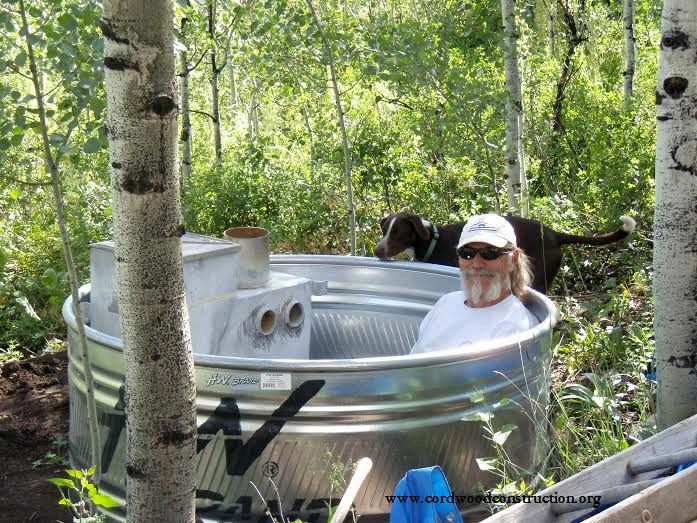 Here are pictures of the hot tub made from a 5 foot cattle tank. We used a 5 foot cattle tank. Snorkel stove that is wood fire feed. We also used a bunch of R3 insulation around the tank. Also put foam insulation under tank. We use no chemicals in our hot tub. Every time you get in it water flows out. We fill a little more after use and it keep’s it clean. We also drain it and bleach it out every month. It gets extremely hot so you must make sure you don’t scaled yourself. We fire it up before we go for a ski tour then when we get home a nice soothing tub is ready to go. Finish it off with a nice beer ! A great addition to our cabinEnjoy…Jennilee Thank you Jennilee!